I have always loved coastal style. My childhood years were spent living on St. Simons Island, Georgia and Hollywood, Florida so I have always loved the coast. When I say I love coastal style I don't mean cutsie beachy stuff, but a refined more elegant coastal feel. Below are some examples I have gathered. 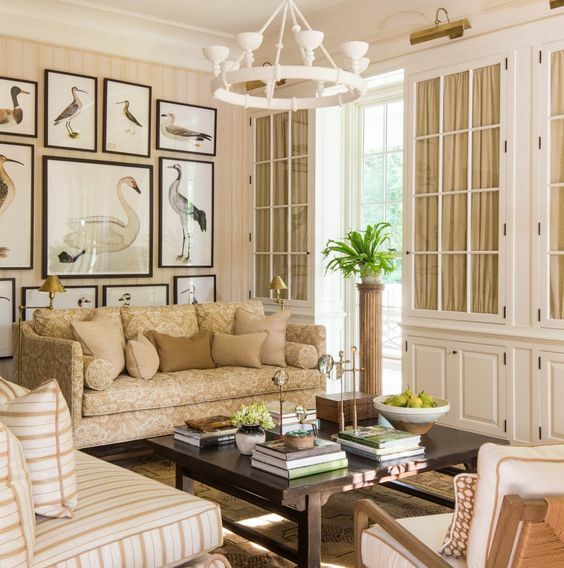 Love this gallery wall of coastal birds mixed with the rattan chairs and dark chest by Summer Thornton Design. Another fabulous gallery wall of coastal birds in this bright room by Summer Bartholomew. Blue and white mixed with the darker woods creates a cozy room found at S B digs. Another beautiful room by Mark D. Sikes from his Marin country project. 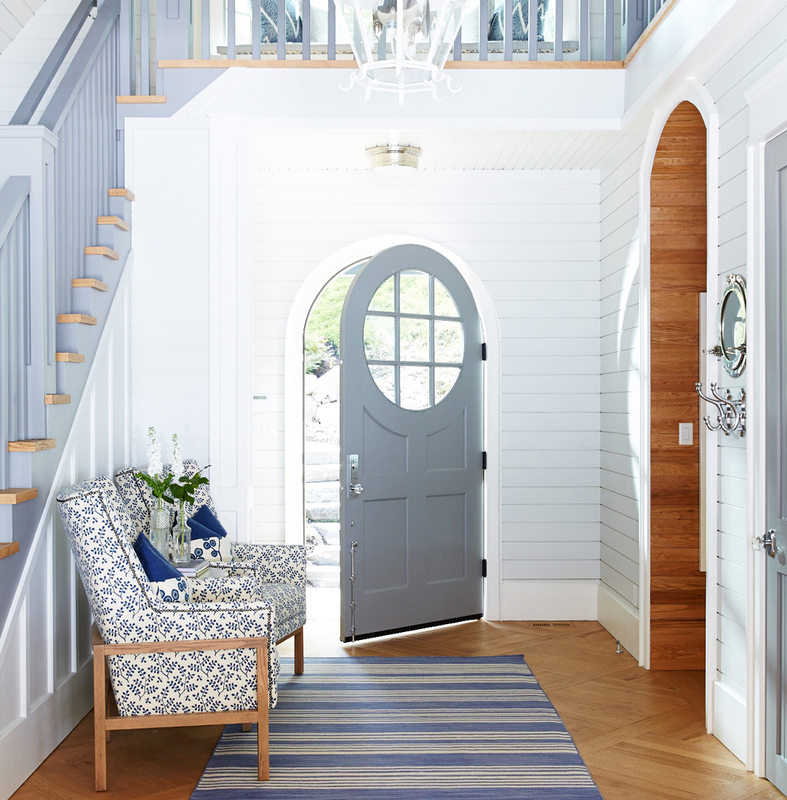 Beautiful blue and white mixed with bamboo in this Montecito project again from Mark D. Sikes. Love the white wood mixed with blue accents in this bedroom. These rooms do share an easy-breezy feel. Perfect for summer. That is the kind of coastal style I like, too, Kim. A bit of elegance with a nod to the ocean air. When I first moved to FL I lived on Hollywood Beach (70's). I loved it back then-it was just a fun area with the "shell" on the beach for the open air concerts. My spirit always longs for the FL coast. I have always been a fan of coastal style and these are beautiful examples. Have a great weekend! This is the coastal style that I love too. Very elegant and I love the coastal birds. I think I see some coastal vibe coming to some of your spaces for the summer. Beautiful inspiration, Kim. I saw the Mark D. sikes room in the SL Idea house last summer and it was gorgeous in every way! I love that coastal look as well. Last October my husband and I went to the beach with my daughter and her family for 4 days. I got sick and was confined to the condo. Not only was I pretty perturbed at missing out on all the fun, I was sick of the cheesy beach decor in the condo! I told my husband I never want to see a cheaply painted wood flip flop hook on the wall ever! The were everywhere!! Lol. 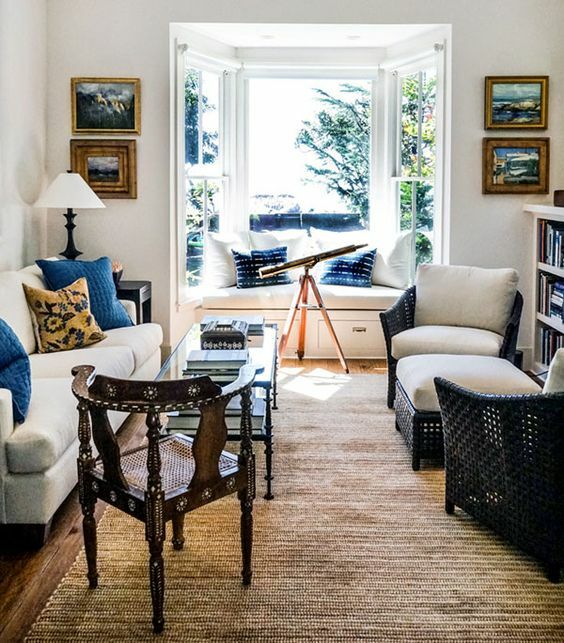 Love the classic, timeless coastal style you've portrayed here! It would have been "on-trend" 100 years ago and it will still be "in" 100 years from now! I love the beach but I find coastal style a bit "theme-y". I definitely do not have a thing for birds (in fact some I find a bit creepy!). I do love some elements of the rooms (such as those fab chairs in the first pic). And the round top door - probably a cottage, which I adore! I lived in Naples Florida for many years. I love refined coastal style too. These are some great examples. Our house is finally going up! Come see! St. Simons, my favorite place on earth! We thought we were retiring there but grandchildren came along.... We haven't given up though and these pictures are exactly how I would want my home to look like.I look at my pelican print in my living room every day and think of St. Simons! Thanks for these pictures! LOVE every one of these pics! I have many already pinned but I am pinning the ones I don't!! Love the casual and elegant style of the "refined coastal" especially Mark D. Sikes designs! I like this type of coastal style too! Kim, we just came home from FREDERICA House on SSI as we live in Brunswick. Can't imagine not living where you can't get fresh seafood! Love your blog and you're French style. Would love to meet you one day and enjoy the islands together. Hi Kim, did you get over to Birmingham to see the 2016 Southern Living Idea House? The living room with all the bird prints was beautiful. I was surprised how much furniture was in the room. I love this style too. As you know...I love coastal style being down here in FL. These are some great classic looks! This is my kind of "beachy" style - "refined coastal style". Perfection!!! Each room is gorgeous. I am getting to a point where I really can't stand anything that looks even remotely contrived. I loved each picture! Leaving by the seaside, I love coasstal style, but it takes some work to get it right in order not to feel like you live in a tacky cheap holiday cottage!